PI ships large order of multiple DPSS Tunable ns Ti:Sapphire Lasers for Radioactive Ion Beam (RIB) research - Photonics Industries International. Inc.
Photonics Industries (PI), The Pioneer of Intracavity Solid-State Harmonic Lasers, recently shipped a large order (totaling over seven figures) of our TU Series of Diode Pumped Solid-State Tunable nanosecond (ns) pulse width Ti:Sapphire lasers to a major research institute doing Radioactive Ion Beam (RIB) research similar to the Resonance Ionization Laser Ion Source (RILIS) which is part of ISOLDE: CERN’s radioactive beam facility. 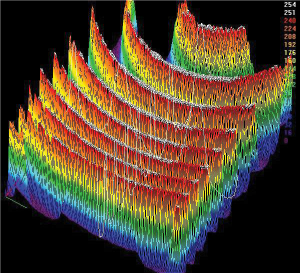 Such solid state lasers are preferred over dye lasers for these applications due to the simpler maintenance and user friendliness of solid state lasers. 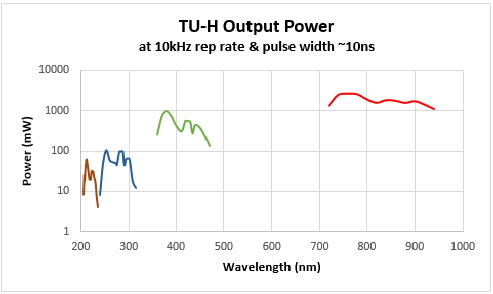 Photonics Industries’ TU Series TEM00 mode, ns pulse width, tunable Ti:Sapphire laser with broad wavelength tuning range of ~700 to 900nm, high prf up to 10KHz and average power of > 1W makes the TU laser a valuable tool for RIB applications.